Award-winning organic pale ale with a rounded malt-and-caramel flavour, from Yorkshire’s oldest brewery. Brewed with crisp well water drawn from 85 feet underground, plus the best organic barley malt, yeast, and fresh, fruity hops. 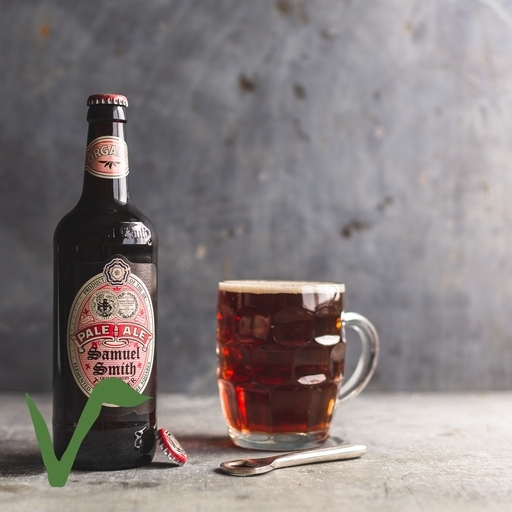 Samuel Smith’s is the last brewery to use the classic Yorkshire Square system of fermentation, which gives this ale its rounded flavour. Water*, malted barley, yeast*, hops.